Beautifully written in prose that sparkles like the snow that provides its backdrop, this fantasy novel is practically perfect in every way. Young orphan Seren (it’s Welsh for star) is travelling alone through a winter’s night to her godfather and his family. They live in a big house in the heart of Wales and though she’s never met them before, a lifelong reader, she knows how this sort of story should go. Waiting for her next train on a freezing platform she meets a stranger. He’s flustered, clearly frightened of something, and leaves a bulky parcel in her care before disappearing. When she finally arrives at her destination, to find that her godfather, his wife and young son Tomos are absent, and that there's only a skeleton staff of servants to meet her, she assembles the contents of the parcel to stave off boredom and loneliness. 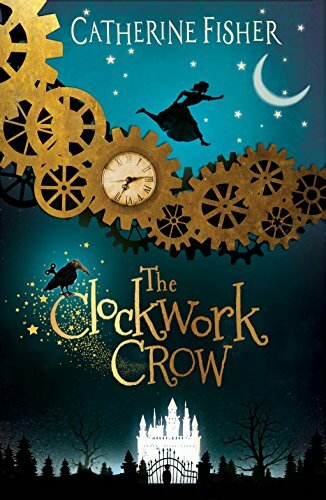 It’s a clockwork crow – an awkward, clumsy-looking thing, yet magic: wound up it comes alive. Psammead-grumpy the crow becomes her ally and together they embark on a dangerous adventure to find out what has happened to Tomos, who disappeared mysteriously one frosty night a year ago. The story is rich with the sense of old magic and fairytale, yet is a totally original and particular bit of storytelling. At a time when books often sprawl over 300 pages or more, it is wonderfully concise too, and even better for that. A delight, and thankfully there should be more adventures for Seren to come. Read our Q&A interview with Catherine Fisher.